Performance Review Report of The Battambang Provincial Tourism Department for First semester of 2018. – Total Tourists Number: 332, 988. – Domestic Tourists: 281, 998. – International Tourists: 50, 990. Room with one bed: 865 rooms. Room with two beds: 1, 047 rooms. Total guest houses are 82 places with total rooms of 1, 315 and chairs of 3, 623 (in which guest houses made license with the Ministry of Tourism are 05 places). Restaurants and food stores consist of 70 places with total tables of 842 and chairs of 3, 623 (in which restaurants made license with the Ministry of Tourism are 01 place). Massage and Spa: message shops consist of 07 places, equal to 52 beds. (In which message shop made license with the Ministry of Tourism are 01 place). Tourism agencies consist of 04 branches (Three branches made license with the Ministry of Tourism and one made license with the Battambang Tourism Department). The total number of national and international tourists, visiting Wat kor village for First quarter of 2018 are 3, 239, in which 1, 792 are women. Cambodian laborers entered into Thailand are 1, 120, 973, in which women are 541, 220. Cambodian laborers leaved from Thailand are 1, 087, 638, in which women are 527, 658. Thailand dispatched Cambodian illegal laborers to Cambodia are 56 times, total numbers are 421 people, in which women are 161 and children are 24. 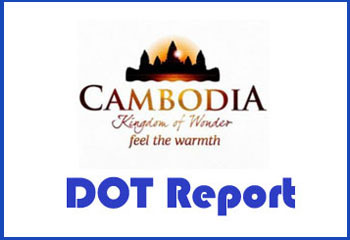 National and international tourists leaved from Thailand to Cambodia are 92, 008, in which women are 51, 134. National and international tourists leaved from Cambodia to Thailand are 90, 967, in which 49, 87 are women.